J4TG Lasers is an independent subsidiary of www.J4TG.com with a focus on Laser Technology design, development, innovation, research and testing for the use of lasers in the public, private and governmental sectors. From military applications to the manufacturing, medical and scientific industries J4TG Lasers has hands-on applicable knowledge and expertise that is valuable. 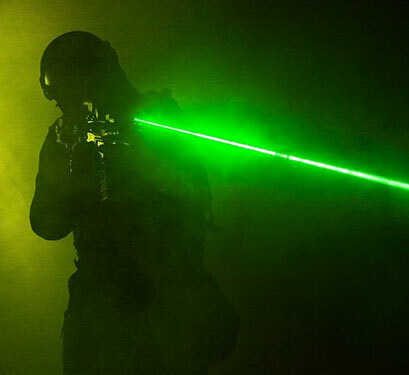 The owner of J4TG Lasers is a US Army Veteran with a Guinness Book of World Record for laser related technology and is both a developer and innovator of new laser technologies including components. J4TG Lasers also owns and operates a diversity of laser equipment that is rarely found outside of a major university and our applicable knowledge makes us a great candidate for cooperative laser development projects and research. J4TG Lasers excels at being innovative. We specialize in "Theory into Actuality" projects. We find and perfect the best methods of approach. We merge all necessary elements and can train others on the utilization of each.